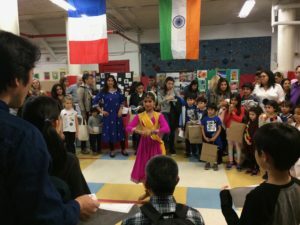 The Global Committee hosted the 4th Annual International Festival on Sunday, October 20, at the MNS Cafe. This festival celebrates the array of diverse nationalities that make up the MNS community. Enjoy food, music, art, games and more from dozens of countries around the world. Don't miss out on this special event next year! If you would like to get involved, please contact globalcommittee@mnspta.org.